Part of the problem is that the 4 virtues are broad classes of virtue that seem to have been chosen to form a sort of exhaustive categorization of the domains of human life: the management of desires (Temperance), the management of aversions (Courage), intelligent judgement (Prudence), and our interactions with others (Justice). The idea is that any ethical question fits into one of these categories. The scheme is useful in part because it is so simple and exhaustive. Indeed! And “Benevolence” is a common alternate translation the Greek δικαιοσύνη (usually, “Justice”). You cannot be Just (in the Stoic sense) without being Benevolent. That I’d agree with (both for “love” and “compassion”). IMO a good way to alter Stoicism to emphasize these traits, though, is to add love and compassion as “sub-virtues” that fall under the heading of “Justice” (since Justice involves all of our dealings with others). Then we should talk a lot about them, practice them, and emphasize them in our modern Stoic conversations and literature. δικαιοσύνη is also, of course, translated as “righteousness” …. as used in the Septuagint and from there, by Paul in the New Testament. The disjunct I explain in part by noting that No. 2 was offered as an option, while also noting that it comes in part as running traditional Cynicism through an existentialist-absurdist filter. (There’s a little bit of anarchy in that tradition.) The first part is I charge a modern updating of the Cynic way of obtaining eudaimonia. Also, the disjunct arguably starts in Cynicism itself. How much, at times, was Diogenes challenging convention to pursue eudaimonia, and how often just to be a deliberate contrarian? On the third hand, for himself at least, being a deliberate contrarian may have been part of his path to eudaimonia. Thanks, E.O. We don’t seem all that far apart. I’d welcome a thorough discussion about Stoic virtues (and how best to cultivate them). The ‘taxonomy’ is fascinating. Your responses to my endorsement of Ussher’s proposal to add compassion as a 5th virtue seem very LOGICAL — but also narrow and legalistic. It may be true that if you spend a great deal of time interpreting the Stoic virtue of justice — after reading various passages in the Stoic scriptures — that one might decide that the Stoic virtue of justice includes compassion. Maybe it is even LOGICAL that there should be one virtue that incorporates relations with others, although I don’t see why that important topic should be restricted to one out of four virtues. But when you list the four key virtues as being justice, practical wisdom, courage, and moderation, does the average person readily understand that compassion is part of that mix? I doubt it. That’s a problem. The Stoics recognized the need for formulas and slogans that emphasized the key things that someone needed to understand to improve one’s excellence. They talked about having various formulas at the ready to remind oneself of what one needed to do to be virtuous. Here’s my perspective: the notion that you can LOGIC your way to virtue without COMPASSION seems to me to be delusional. People act justly because it is solely in their enlightened self-interest? Give me a break! Therefore, not to emphasize compassion as a key component of the virtues– which after all are supposed to be unified, you can’t have one without having all of them — seems to me to be a quite serious mistake. It’s a matter of emphasis. You can spend a lot of time finding passages from Marcus Aurelius, Seneca, or Epictetus that might be interpreted to imply compassion as being important. But if your cardinal virtues are fourfold, and don’t EXPLICITLY include compassion, then there is a failure of EMPHASIS. This is not an intellectual debate about what might be implied by the Stoic scriptures. It is a practical debate about how best to get to virtue. In my view, naming the key virtues as only being justice, practical wisdom, courage, and moderation seems to be woefully insufficient. It is less helpful than it could be as a practical guide. It is incomplete. It lacks adequate feeling and appeal. Now, why the ancient Stoics didn’t emphasize compassion more — that is quite curious. Maybe because ancient Rome was a male-dominated militaristic culture, and they were trying to fit into that culture at least to some extent? But I don’t think we should be limited by what may have been dictated by their cultural context. You make a fair point about slogans. That’s why I’m a big fan, personally, of using the phrase “Justice and Benevolence” to translate δικαιοσύνη, as Donald Robertson does in his modern Stoic book. In this scheme, the four virtues become “Temperance, Courage, Prudence, and Justice/Benevolence”—and a big part of our motivation for cultivating the first three is to enhance our ability to behave with Benevolence. I think they did emphasize compassion a great deal (depending on how narrowly you define it). They talk on and on about the importance of benefiting others, of comforting others, of “groaning with others,” of providing a “healing balm” for people’s emotional and material misfortunes, treating others’ needs as your own, of being so attentive to others’ needs that you are ready to benefit them before they even ask for you help, etc. But as you say, it’s a matter of emphasis. For some reason, Stoic teachings on pro-social action and our duty to tirelessly work for the benefit of those around us often go ignored. And if part of that is the fault of the ancient texts, of course we are more than free to correct for it. It’s a living and self-critical tradition, after all! I would agree. IMO, that’s part of why the Stoics rejected Plato’s strict division between reason and emotions. In Stoicism, the pursuit of virtue is inseparable from the cultivation of “healthy passions,” which include (among other things) several species of “affection” for our fellow human beings. I’m not sure where you’re going here. Stoic ethics has very little to do with “enlightened self-interest.” It has more in common with a sort of pure altruism, in which our benefit is equated with the benefit of others, and loving others is seen as its own reward. PS to Tim: Anyway, it seems that all parties in this conversation would like to see compassion (or something closely related to it—like generosity, affection, kindness, love, etc) emphasized more in how Stoicism is presented to the world. Buddhism and Christianity have a leg up in the PR department on this one (with metta and ἀγάπη, respectively). Cosmopolitanism is probably the closest things Stoics have to a similar one-word slogan that has always been front-and-center in our system. Those of us who have spent a lot of time with the texts know that there is much more there—with kindness, affection, benevolence, etc, playing as central a role in Stoic ethics as metta does for Buddhists—but it’s admittedly a little difficult to explain this to newcomers. Perhaps the abstractness of “Justice” is indeed part of the problem. In just trying to understand you better here 😊: Do you suggest that by adding the virtue “compassion” to the existing Stoic virtues, people are more likely to accept Stoicism as a philosophy to live their lives by? Well said, Tim. My understanding of Justice, as conceived by the Stoics (and described by Donald Robertson), is that it involves kindness and fairness. That’s a fine way to relate to others. But if true, then Stoic Justice is akin to compassion but has nothing like its intensity and requires nothing like the degree of commitment needed to cultivate a truly compassionate disposition. So I’m all for adding it as a fifth cardinal virtue. But thankfully, in recognizing the need to give justice and compassion greater prominence, we all seem to be moving in the right direction. True, but they also have a leg down on integrating logic and “physics” into their philosophy, i.e., actively improving our ability to reason, and taking seriously the world as it is, respectively. That’s one of the major things that attracted me to Stoicism after I left Christianity. Also one of the reasons Buddhism never spoke to me. As I say in the OP, different philosophies speak to different folks, and I wouldn’t want to turn Stoicism into something that no longer speaks to me. 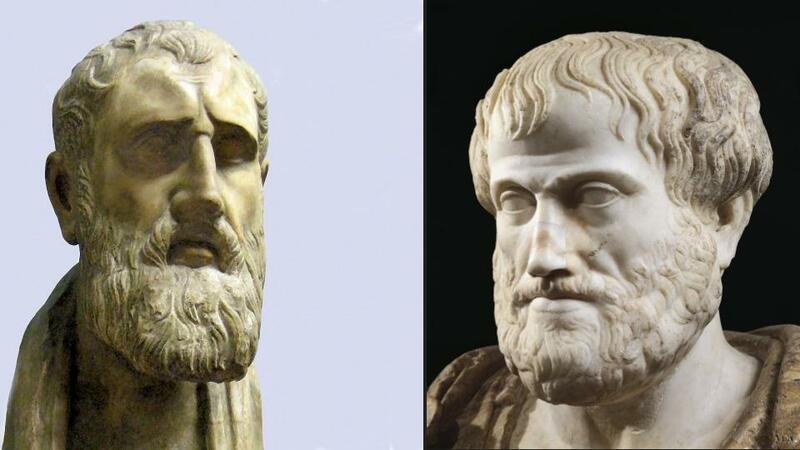 There is a nice article on Stoic virtue ethics by Matthew Sharpe (downloadable here: https://www.academia.edu/5610675/Stoic_Virtue_Ethics, I have commented on it here: https://howtobeastoic.wordpress.com/2015/07/21/stoic-virtue-ethics-part-i/ and here: https://howtobeastoic.wordpress.com/2015/07/23/stoic-virtue-ethics-part-ii/) where he has a table (p.38) that lists the known sub-virtues within each of the big four. This makes it clear that the cardinal four are just an easy to orient oneself, the Stoics had a much more sophisticated understanding of virtue. Sure enough, under”justice” we find: kindness, sociability, and good companionship. Yes. I think more people would be more attracted by a Stoicism that was more explicitly and prominently “kinder and gentler”. And they would be more likely to be attracted to Stoicism for the right reasons, that is be attracted for what it really promises for becoming a better person. In other words, I think one of Stoicism’s “growing pains” right now is that some people attracted to it seem to be attracted by what they perceive as its promise to build an invulnerable character that can prevail in competition. But I don’t think that is what Stoicism is about at all! Obviously any philosophy can be misunderstood. But one can try to design its central tenets to reduce such misunderstanding. I think we are agreed that Stoicism properly understood includes compassion. There even seems to be agreement about giving compassion more prominence. The difference seems to be over whether giving compassion more prominence in Stoicism may require some important changes in Modern Stoicism that deviate somewhat from how Stoicism was presented in the ancient Roman world. I agree with Massimo that the cardinal four virtues are just a way to orient oneself, and that there are lots of sub-classes of virtues within those four. The relevant issue is: if one was to choose some relatively small number of 4 or 5 main virtue categories to orient oneself, is there some merit in including at least one virtue that explicitly refers to something equivalent to the Buddhist “loving-kindness”? Would that be a better “orientation” for newcomers to Stoicism, and a better reminder for daily Stoic practice? Frankly, I wonder whether the Stoic embrace of these particular 4 cardinal virtues really wasn’t just a form of allegiance to the broad Platonic tradition. If so, there is no necessity to stick to exactly those 4 virtues, or to frame them exactly in the same way. There are a lot of ways of classifying and labelling all the various virtues that might be considered to be part of human excellence. There is perhaps some analogy to modern Buddhism’s deviations from Buddhist tradition. The well-known Budshist scholar/practitioner Stephen Batchelor has argued, controversially among some Buddhists, that the traditional Buddhist embrace of reincarnation was simply because this was the general belief prevailing during the Buddha’s lifetime. Therefore, he has argued for dropping the doctrine of reincarnation as essential to Buddhism. And he has tried to back this up with quotes from various Buddhist texts, and extended argument about this issue. the addition of a fifth virtue would have to be justified theoretically (Stoicism is a philosophical system, after all), not just from the point of view of convincing more people to become Stoic (which is, of course, a preferred indifferent). And as E.O. has pointed out, there are reasons why we have the four virtues. Yes, they do go back to Socrates, but they are justified theoretically within the Stoic system. Adding a fifth one would be arbitrary, especially considering that it is already, explicitly, mentioned under one of the original four. Moreover, if we start making arbitrary moves like this one, for convenience, than why not six virtues? Or sevem, like the Christian ones? As for your analogy with Buddhism, I think it’s a different case. Reincarnation is a metaphysical belief, not a crucial component of the ethical structure. There are analogies in Stoicism: most modern Stoics reject the idea of a providential Logos, re-interpreting the concept as simply the idea that the cosmos are organized in a rational, intelligible manner. Massimo: I don’t think adding compassion is an “arbitrary move” for convenience. Rather, I think it is a necessary one, as love is essential for justice. If you don’t want to abandon the four virtues, why not relabel justice with a label that encompasses its positive emotional component that is probably essential to its operation? For example, why not relabel justice using Martin Luther King, Jr.’s phrase, “The Beloved Community”? Personally, I don’t think of this as a PR move. I think this is a better way of describing what we are aiming for than “justice”, which is a rather sparse and uninspiring noun. “The experts’ opinion is that cooperation, love, order, discipline, and justice bind heaven and earth, gods and men. That’s why they call the universe an ordered whole…rather than a disorderly mess or an unruly shambles.” (Gorgias, 508a). we are going to have to agree to disagree on this one. I see the proposed addition as arbitrary, for reasons explained by E.O. in one of his comments, and because of the detailed treatment of Stoic virtue ethics by Sharpe. I think the role of desire and love could definitely use more prominence whenever we try to explain Stoicsm to newcomers. We do have, though it may be a preferred indifferent to oppose it, a bit of a pr problem eg “unfeeling stereotype.” At the same time, I’m with Massimo in that I feel adding a 5th virtue seems like an arbitrary concession. My urge is that a move like this, rather than adding a 5th virtue, would be a helpful way to make Stoicism relevant to a modern audience without sacrificing it’s traditional structure of 4 virtues. A small change like this might make a very big difference in people’s ability to understand, and therefore practice, Stoicism. “Justice” is, at least in its present usage, simply too anemic a term imo. P.S. I feel similarly about receiving messages from people named “Pelagius,” though I regret to inform you I’ll be going by my actual name from here on out. I do really like Plutarch though. I hope I didn’t sound dismissive of your article. I thought it was a rigorous engagement with Cynicism and the comparisons you made between the Cynics and the wandering fools of other philosophical and religious traditions (eg Sufis) was astute. I’m with you in suspecting the dis-junction between (1) and (2) starts as far back as Diogenes himself. I like your “third hand” option. This would suggest the only way to be a good Cynic is if you are temperamentally suited to the calling of being a homeless, minimalist, street preacher of virtue. Eg, you don’t choose the lifestyle of Cynicism, the lifestyle of Cynicism chooses you. Chris, no, you just sounded questioning, not dismissive. And, to at least a degree, yes, I think Cynicism both ancient and modern is a matter of temperament more than many other philosophies. Hi, Chuchu. I think that if we added compassion as a virtue, the philosophy would no longer be Stoicism, per se, because then other people could no longer be considered as indifferents. As a result, it might become something even better. A problem with Stoicism is that is conceives of the human cosmopolis as a community of rational beings, or at least a community of beings who are capable of being rational. Unfortunately, birth defects, brain damage, autism and other factors place rationality out of reach for many. Yet they still deserve to be valued members of the human community. So in view of that, and in view of certain other developments that have occurred over the past couple of centuries, I think we can safely alter the cosmopolitan membership requirements to include anyone capable of suffering. That would be everybody, no matter their mental capacity. Plus, it might make for a more user-friendly virtue philosophy, with those powerful virtues still firmly in place. In fact, a strong sense of compassion might make it easier to cultivate the Fab Four. Eric, nice to make your acquaintance! I’ll let my own mask slip a little by noting that ‘Pelagius’ is Greek for my real name, according to Bertrand Russell. I agree that cosmopolitanism can easily be expanded to include compassion or concern for everyone who is suffering. I disagree about your comment about the rational community. Only the ideal Stoic Republic is made up of sages, not the world we live in. So the Stoics were perfectly aware of the fact that we aren’t all rational, or all of the time. And remember that “rationality” for the Stoics includes the cultivation of positive emotions, which means that even to describe Stoic philosophy as rationalistic is incorrect. Thanks, Massimo. But I’m not aware of any evidence that the ancient Stoics, or anyone else in the ancient world, were ready to defend the rights of the mentally disabled. If there is evidence to that effect, please let me know. Epictetus was physically disabled, or course, and his method of coping with this disability consisted of — who knew! — rationality. the fact that the ancient Stoics were not concerned with the mentally disabled, a modern category, seems to me irrelevant. Stoic philosophy, without change, has the tools that are required for such defense. Indeed, I think it has the tools for a type of modern environmentalism and animal rights movement as well, even though the ancients didn’t talk about either. As Seneca says, our ancestors are our teachers, not our masters. “Here’s my perspective: the notion that you can LOGIC your way to virtue without COMPASSION seems to me to be delusional.” – I disagree. What exactly would adding compassion to the 4 cardinal virtues add to stoicism? The 4 virtues form an inclusive idea, direction or concept, but stoic virtue is manifested trough action (or at least attempt to action) and the intention behind it, not by feelings or rhetoric or semantics. You either cheat or don’t, lie or say the truth, you stand up to defend the oppressed or not. Also, how would you define compassion? I find compassion to originate in empathy (a rather unpleasant, distressing feeling for me personally). I do not think a stoic would or should give assent to negative feelings. A stoic should look at any given situation objectively, and yes as you put it, logic their way to virtue by reasonable action in the interest of society. Making stoicism more appealing to others? Adding some steak to vegan diet would make it more appealing to me. Jokes aside there is no need to fix things that are not broken. You certainly highlighted some points I hadn’t thought of, and I can now see clearly where you were coming from, thank you! However, I do think the idea of starting a new school of philosophy is great, even if it’s largely based on Stoic philosophies. Heck, Stoicism itself came from Cynicism. I can see many Stoics are quite happy with the four virtues the way they are, changing them would require many years of rigorous validation – is that the right word to use in philosophy?! It’s probably better to spend that energy starting something new, and potentially better for many others! You made some great comments there. 😊 there’s definitely a trend for people to use Stoicism as a way to be more successful! Just look at how many “how to be a successful Stoic business man” sort of writings floating around! Personally, I disagree. Stoicism is not about avoiding negative feelings per se, but, as you suggest, about engaging in moral actions that benefit others (even if they hurt). From there, I would give two arguments for why empathy must be part of that process. First, as the Stoics recognized, and as modern science emphasizes, there is no clean separation between emotion and reason. We cannot process information about others effectively without our emotional and subconscious systems. So I’m skeptical that even cognitive empathy (in which we understand others’ feelings without feeling them ourselves) is possible without recruiting some emotional empathy too (in which our feelings mirror others’). The ancient Stoics sometimes spoke of a sort of emotive “tension” or arousal that the wise person maintains in order to be ready to act. And then of course there are healthy passions like “caution” and “affection,” which the Stoics clearly recommend as aids to action. All this suggests that they agreed with Tim that raw “logic” (in the modern sense) is not feasible for human beings. Human “reason” involves more than that. Second, as for empathy itself, you’re right that a Stoic avoids value judgements and emotions that might threaten their belief that virtue is the only good (passions). So we stop short of one kind of irrational, morally problematic empathy. But since Stoicism accepts all other emotions as natural and healthy, personally I think there is still ample space for a kind of empathy within Stoicism. In particular, I view healthy empathy as a proto-passion that automatically arises when we pay attention to others and imaginatively focus on their story. This causes us to feel some of the proto-passions we might feel if we were in their shoes, and it puts us in a better position to perform theory of mind, to act as a comforting shoulder to lean upon, and yes, to analyze their situation and help solve it. Such feelings may still be unpleasant (proto-passions can hurt! ), but Stoics were all about choosing the unpleasant path in order to benefit others (like Hercules). In this view, if a someone fails to feel empathy, it is often because they have failed to pay attention in an affectionate way—which is not a judgement, but rather an action that is demanded by the virtue of Justice. Granted, the ancients were sparse in their treatment of empathy, and the proto-passions in general, so this is view is my own invention. But it is clear that they did not want us to be “unfeeling like a statue.” And I think treating empathy as the automatic result of pro-social attentiveness is a consistent way of using the tools the tradition left for us to help create a moral, kind, and socially engaged Stoicism.